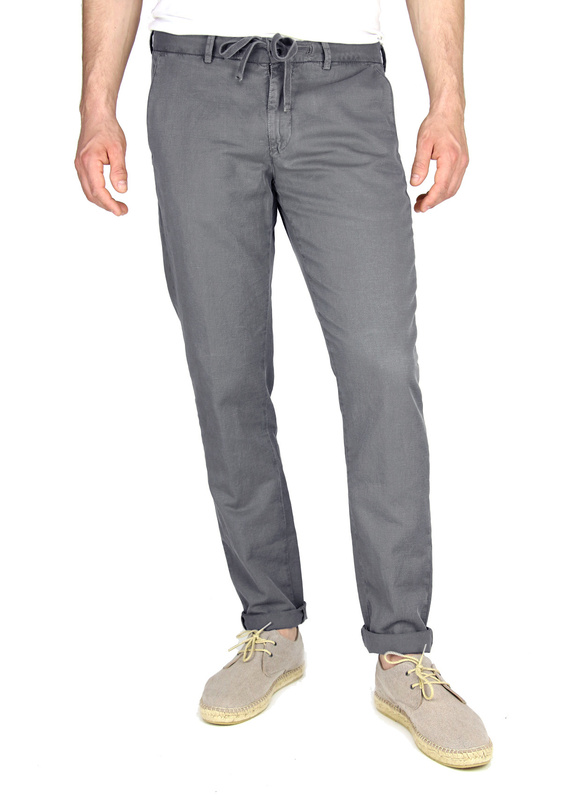 Gray men's chino from the Italian brand Four.ten. This gray chino has a regular 'regular' fit with straight legs. The top band has a lacing and gives the pants a casual look. Nice effect is to turn the pipes slightly (as in the photo). 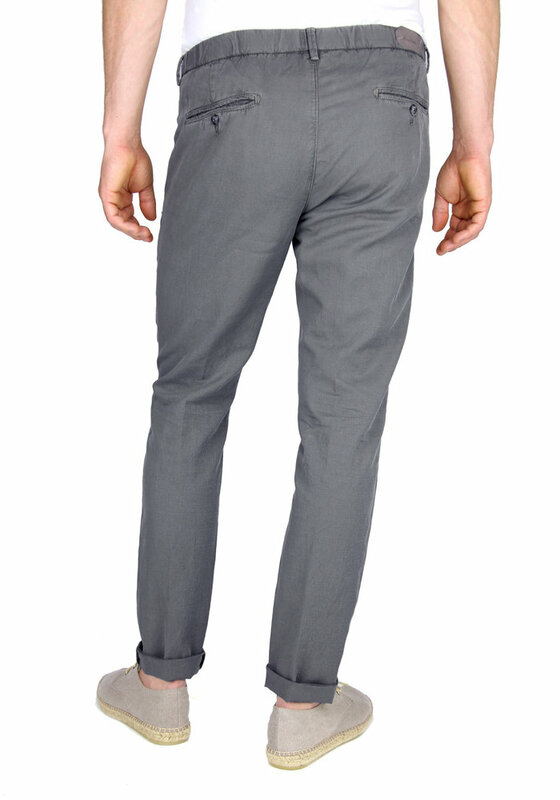 This Four.ten chino looks great in combination with a white shirt and loafers.